The Victorian government has introduced a new town planning category tailor-made to promote digital technology sector jobs in Melbourne’s inner-city suburbs, reports The Age. The flexible commercial three zoning category is a key part of the state government’s new policy guidelines, Unlocking Enterprise in a Changing Economy, that aim to streamline planning applications for certain creative and start up industries. The manifesto will guide decisions based around transport, governance, use of public land, and the type of employment created by new business activity in “enterprise clusters,” similar to those created in the inner-city suburb of Cremorne, adjoining the better-known suburb of Richmond. Suburbs like Cremorne are attracting major multi-national tenants, as well as numerous new commercial developments as both rents and property values skyrocket, notes the AFR. According to Planning Minister Richard Wynne and Minister for Innovation and the Digital Economy Philip Dalidakis, the newly-called Enterprise Precincts will reduce the burden of obtaining local council approval and help create jobs. “The commercial three [zoning rule] has a clear purpose: to promote innovative and enterprising mixed-use precincts that provide the fertile ground for business creation and experimentation,” the manifesto says. The inner-city suburbs of Brunswick, South Melbourne, and Collingwood have been targeted because of their preponderance of old factories, heritage values and buildings of various sizes. 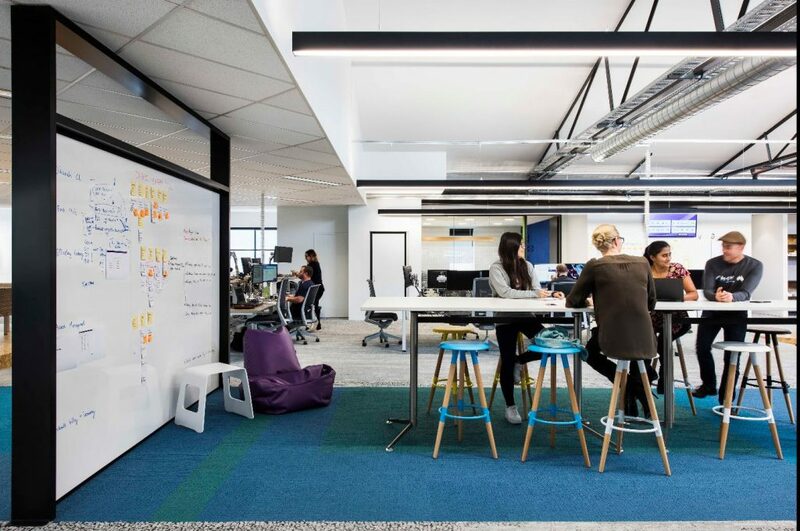 Leading accounting software company MYOB plans to expand their Cremorne office to accommodate 1,200 staff including 200 new roles, making them the largest employer in the emerging tech precinct. Other technology groups moving to Cremorne include Seek, Carsales.com, and REA Group, as well as a dynamic mix of freelance creative and start up industries that has seen the area dubbed ‘Silicon Yarra’. Highlighting the wave of money pouring into Melbourne’s fringe office markets, the land on which MYOB’s premises will be built has been acquired by global investor AXA, for $32.5 million. On the site of the silos housing the famous Nylex clock, the nine-level building will be developed by Caydon Group and built by Probuild for AXA, with MYOB taking out a ten-year lease over six levels to house its 1,200 staff. The MYOB building will include four retail spaces, a cafe and showroom on the ground floor and 174 car parks. Mr Wynne announced $150,000 of Streamlining for Growth funding for the Victorian Planning Authority and the City of Yarra to work in partnership with Cremorne’s creative local community, to identify transport and business improvements as well as strategic redevelopment sites to further grow the hub. Reinforcing inner Melbourne’s Enterprise Precincts is estimated to add $900 million to the Victorian economy by 2036, creating extra jobs and improved productivity in the areas.